Prineville, Ore. (September 5, 2012) — On a clear, sunny day in central Oregon, the nation’s fastest masters time trialists battled for coveted Stars-and-Stripes jerseys on the first day of the 2012 USA Cycling Masters Road National Championships. Riders competed in Prineville, a town northeast of host city Bend, and utilized a course on the Crooked River Highway that has also served as a stage in the Cascade Cycling Classic. In all, 29 national titles were awarded on Wednesday. Notable champions includeFranz Hammer (Oro Valley, Ariz./Team Green Choice/Team RPM/Airpark Bikes), who added another Stars-and-Stripes jersey to his closest after moving into the 75-79 age group, and 40-44 men’s race winner Richard Feldman (Ketchum, Idaho/ Durance-Colnago), a champion at the UCI World Cycling Tour finals in August. 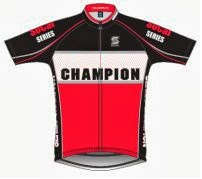 Scott Hennessy (Salinas, Calif./VOS Racing), Arrietta Clauss (Madison, Wis./Trek Midwest Team), Laura Lindgren (Long Beach, Calif./La Habra Cyclery/Chronic Tacos Cycling) and Patty Puz (Sun Valley, Idaho/Durance-Colnago) all successfully defended their 2011 individual titles. In the tandem competitions, Scott Raymond (Cypress, Calif./BBI-SIC Cycling) andFrank Schroeder (Claremont, Calif./BBI-SIC Cycling) repeated as champions in the men’s elite race, while Bend locals Timothy Jones (Bend, Ore.) and TJ Paskewich (Bend, Ore.) again climbed to the top step of the podium in the men’s 70+ tandem race. The 90+ mixed tandem duo of John and Jennifer Slawta (Talent, Ore./GNARLUBE/LANDSHARK Racing/GNAR Lube Velo Junkies) defended their championship, as well. Competition continues on Thursday with road races for men age 35-59 and women age 35-49. The races start and finish at the Mt. Bachelor Ski Resort west of Bend. 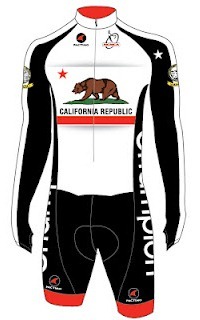 For a complete schedule, course maps, photo galleries and more, visit the 2012 USA Cycling Masters Road Nationals webpage. You can also follow the event on Twitter via the USA Cycling account or using the hashtag #RoadNats. For more information on Bend and the surrounding area, go to www.visitbend.com.